OCTOBER 13--An Indiana woman blasted her boyfriend in the face with bug spray after a laundry dryer mishap left her cat dead, police report. 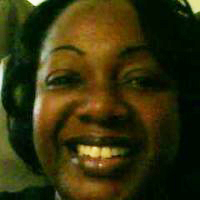 The unnamed tabby’s demise occurred last week in the Evansville home of Arletha Cayson, a 50-year-old nurse’s assistant. Police dispatched to the residence for a domestic violence in progress were told by Cayson that her boyfriend had left the dryer door open, which allowed her cat to crawl inside the appliance. Unaware that the animal was inside the drum, Cayson turned on the dryer. “This killed the cat,” according to a police report. Cayson’s rap sheet includes convictions for domestic battery, leaving the scene of an accident, contempt of court, and driving without insurance.